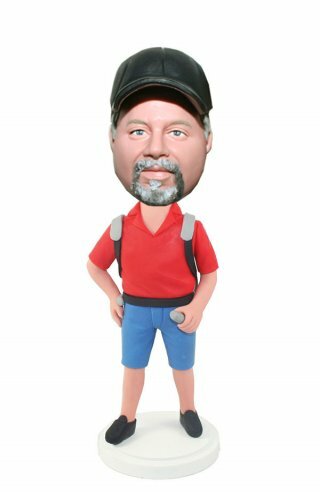 Travel Bobbleheads In Red Polo Shirt And Short With A Backpack. Wearing a red polo shirt and blue shorts with a backpack, this is customized male traveller bobbleheads. Do you like travel? Would you like to enjoy differnt scenes, feel the foreign flavor and to know more about the world? 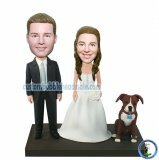 If yes, this male traveller bobble head is perfect to you/him. Our artists are concentrate on every detail.